We are now nearing the final fascination of the Fall season and are ALMOST ready to eagerly immerse ourselves into the holiday spirit. With that in mind, we are primed to prep for our wish list. But before all the holiday fun begins, one might be tempted to…grab a jewelry piece or two, just for yourself. If you are looking for a moment of meaning, something to distinctly symbolize a season or life change…this brand might be your go-to. These most exquisite and crafted pieces of are modeled after 19th -century wax seals, uniquely created. Reminiscent of the of the days of old where each item was valued and meant something to the wearer. 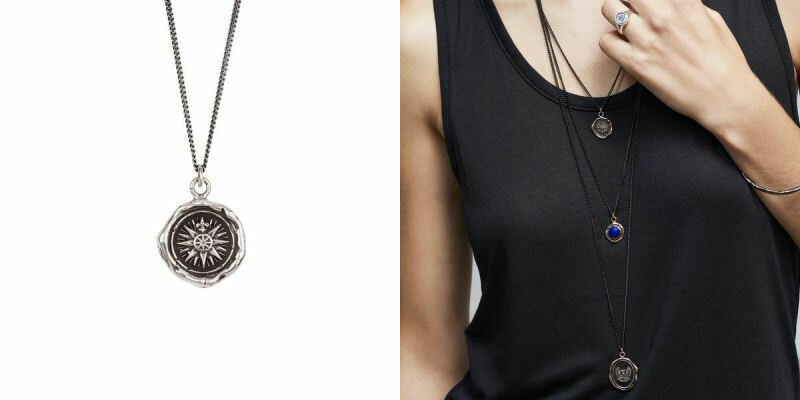 Although there are numerous items to choose from, I opted for the direction piece as these days, I need it! -Comes in Sterling Silver or Bronze. 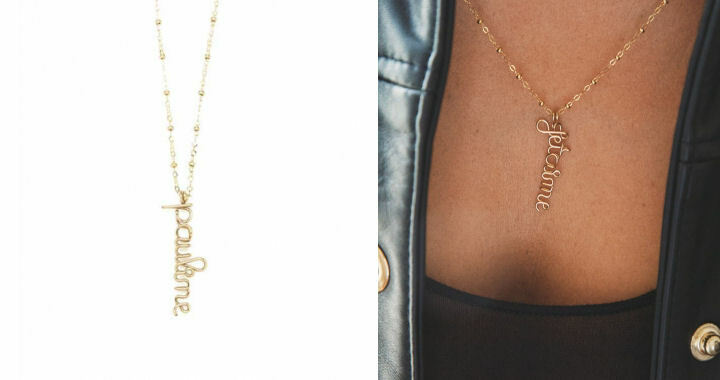 The French jewelry house that deigned these necklaces had the independent, self-assured woman in mind. The delicately detailed and refined pieces are crafted with the finest in Argentium 935, yellow-filled or pink 14K gold wire, depending on your preference. When worn, they are as distinctive as the wearer. The necklace that holds the design is just as pristine. A truly tasteful teat for yourself or another! Layers, layers every wear you go you see layering in clothes, in bracelets, in rings (a.k.a. 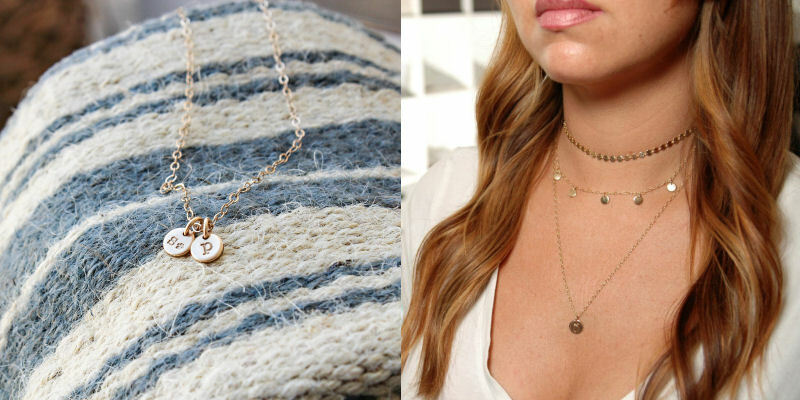 stackables) and now the full blow trend of layering in necklaces. Why focus on one when you can have many! To accommodate this needed adornment, Lemonbug has put together a classic coin choker chain that works seamlessly with any necklace but works even better paired with a piece that reflects your personal presences-be it your initial, zodiac or your love of wine! Each item is hand made and created for the client. Our fascination with feathers has indeed, fully taken flight. But I have yet to see such a remarkably persuasive pair of earrings, as these. Stunning in detail, the backbone of each feather features a strip of diamonds, with the pair totaling 1/4 Carat. Each feather limb has faceted markings to add gleam, enhancing the diamonds opposite to them. -Sterling Silver with Latch backs. If you are the type of lady who is drawn to couture creations and prefers to be the trendsetter and not the follower, this brand is set to be your mainstay. Each item in her line, is in the true sense of the word-collection. 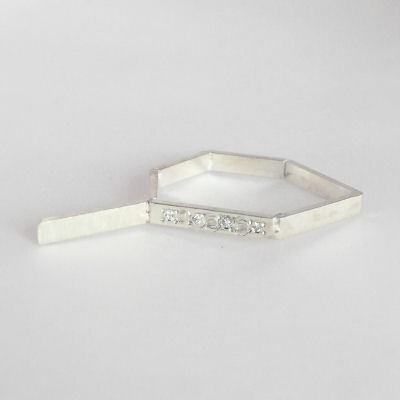 Artistic and inspiring, this cultivated ring can be worn alone or as a stackable, featuring four bead set 1mm diamonds. The ring is very comfortable and luminous, it catches attention within minutes! -Sterling silver, finger size 7. Looking for distinctive duality in your wardrobe? 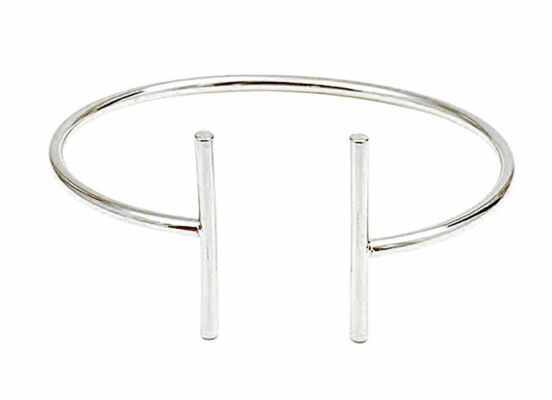 This dynamic bracelet works as a cuff and a bangle all in one. 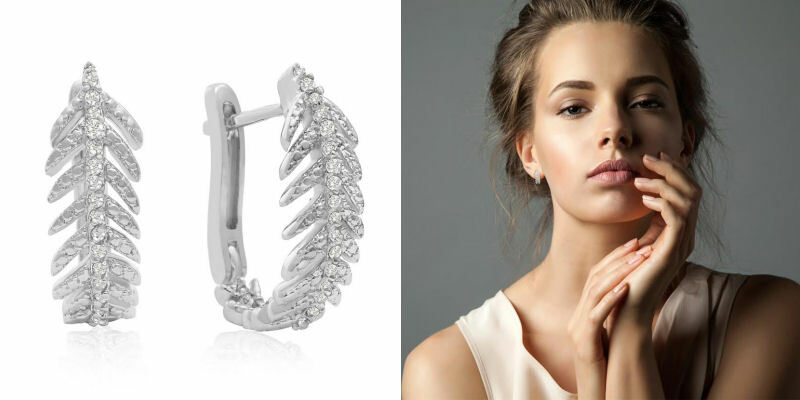 Alluring and delicate in look, the bracelet is surprisingly sturdy- making it suitable for daily wear or dress up! -Materials: Sterling Silver plated Brass.